New Year is here and I am glad. By now even I have had my fill of rich food, mince pies, Christmas cake, plum pudding and endless little snacks. Not to mention the chocolates! Today I feel I can say no more rich food. There again I might say that in my mind but my somewhere else can’t quite go to the other extreme. I need to cook a treat that is somewhat guilt free and perhaps something I feel that is not all bad. Enter the Flapjack. The butter, sugar and syrup might not be all good but the oats are, and that is the guilt free ingredient I am hanging on to. When I started cooking I would look through my mothers cookery books for inspiration of what I might like to make. Something that would be simple and that had a very small window for failure but tasted wonderful. After I had persuaded my mother to let me use the kitchen, instead of going for simple I opted for complicated and the result was a complete failure. This put back my biscuit making by quite a few months and I was barred from using the kitchen again. I had to wait until my mother had gone out for the afternoon before embarking on my next choice, the Flapjack. They didn’t disappoint me then and they still don’t disappoint now. They are no oil painting of a biscuit but as the saying goes ‘don’t judge a book by its cover’. Put the butter, golden syrup and sugar into a pan and gently melt. Once melted remove from heat and add the oats and stir well. Spread the mixture onto a non-stick buttered tin roughly 8” x 12” using a fork, press the mixture down and spread-out evenly across the tin. Bake for approximately 30 minutes. Watching that the edges do not burn. Leave in the tin for a few minutes, then with a sharp knife divide into fingers. Straight out of the oven the mixture will be too soft to divide up so it’s best to leave it a few minutes. The mixture cools very quickly and if left too long will not cut easily as it will become too brittle. After dividing, leave it to cool before turning over the tin and tapping them out. My method is to prise them out individually using the excuse of eating any broken ones. Store in an airtight tin or container and they will keep a couple of days, the longer you keep them the softer they become. Not a biscuit I had really heard of until a month ago. 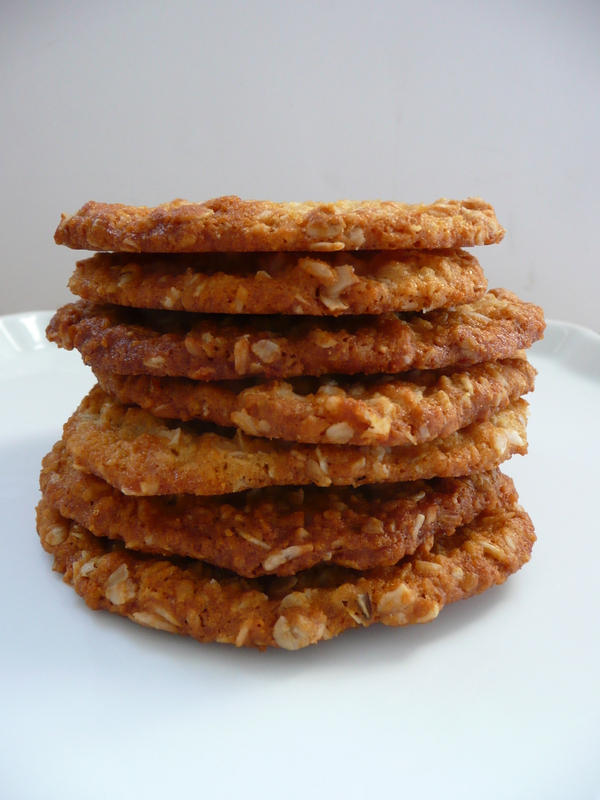 I was talking to my cousin about our usual obsession of what each other is cooking and eating when she mentioned that she was baking some Anzac biscuits, how fabulous they were and that she used to cook them all the time. Since then they have cropped up in conversation so many times that my intentional disinterest turned into an interest. 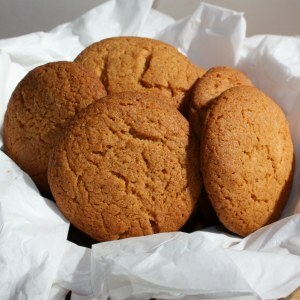 I googled Anzac Biscuits and was surprised to see how popular they were. Which rock had I been sitting under? The name comes from the Australian and New Zealand Army corps. In World War I the families of the soldiers would often send these biscuits out to them as they kept so well during transportation. The Australians are so protective of the name that there are laws protecting the recipe. Apparently, Subway had to stop selling them because making the biscuits to the original recipe was too expensive to be cost effective and they were not allowed to sell anything else under that name. The recipe for Anzac biscuits seems to be the same wherever I looked, with one exception, which is where someone has added raisins. The classic recipe is the one I decided to try (little choice really). Heat oven to Gas mark 4/180C/fan 160C. Put the oats, coconut, flour and sugar in a bowl. Melt the butter in a pan and then stir in the golden syrup, I put a tablespoon in a mug of hot water for a few minutes to heat, this stops the syrup from sticking to the spoon and stops all those strings of syrup getting everywhere. Add the bicarbonate of soda to 2 tbsp boiling water, stir then add to the golden syrup and butter. Make a well in the middle of the dry ingredients and pour in the butter and golden syrup mixture. Stir gently until all the ingredients are combined. Put dessertspoonfuls of the mixture on to greased baking sheets, about 2.5cm/1in apart to allow room for spreading. Bake in batches for 8-10 mins until golden. Transfer to a wire rack to cool. I left my last batch in for a few extra minutes to see what the change would be. They were darker and crisper. 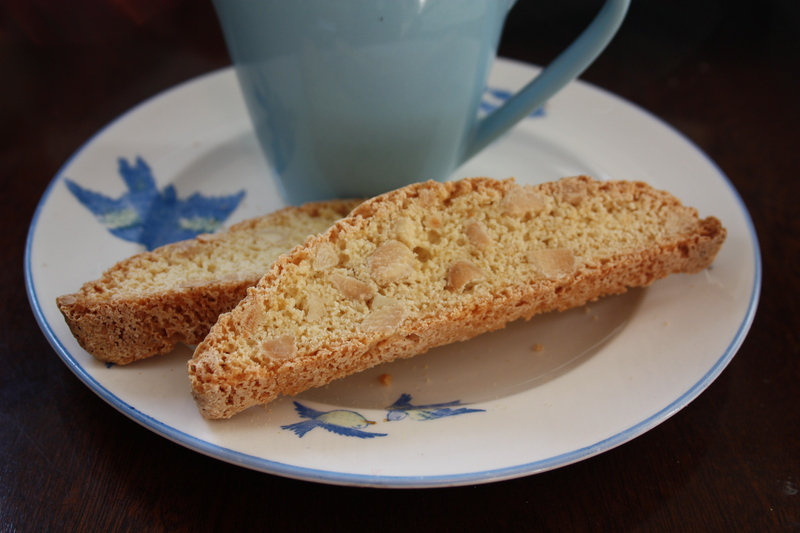 I preferred the earlier batches which were crisp with a slightly soft centre. Beware – eating just one is impossible.